There is an old “yinglish” expression share in the “nachas.” Nachas usually refer to the pride only a parent has for their children, but share in the nachas, can be sarcastic–as in share in a not so joyful experience. 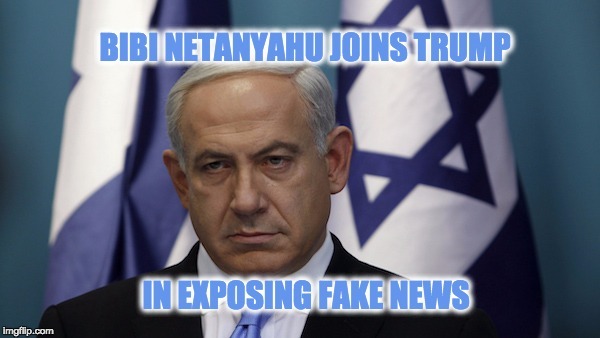 Israel has had to deal with fake news for over four decades, but only recently has Prime Minister Binyaman Netanyahu decided to share his nachas with that of President Trump. At the very least now there are two world leaders calling the NY Times and CNN, fake news. Prime Minister Benjamin Netanyahu has decided to stand with president Donald Trump in the battle against “fake news” by calling out the members of the mainstream media who continue to publish the foul lies spewed by Hamas, and refusing to report the truth of the ongoing struggle for peace in the Middle East. While the rationale for the fake news may be different from that used to battle President Trump, the methodology is the same. The main stream media chooses to publish biased commentary pretending that what they’ve printed is “news” (when in truth it’s nothing more than gussied up op-ed), and then acting injured when they’re called out for their media malpractice. 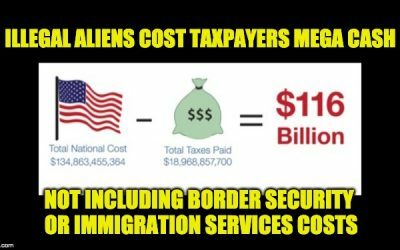 Thankfully, more and more people are waking up to the slanted and immoral “reporting” from the mainstream media and they’ve just stopped listening to the lies. Coming out of the German-Jewish classical Reform tradition and a true believer in the assimilationist philosophy of Rabbi Isaac Wise, his wife’s grandfather, Sulzberger disavowed his connection to the Jewish people. In fact, he didn’t believe that such a people existed. 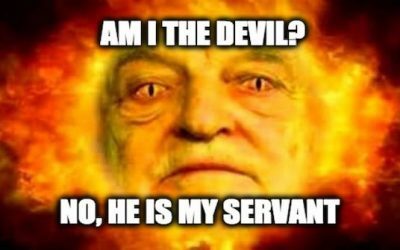 Jews, in his eyes, were just a religious group. 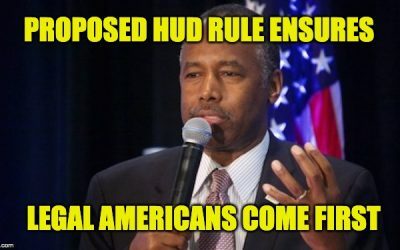 “I have been trying to instruct the people around here on the subject of the word ‘Jews’, i.e., that they are neither a race nor a people, etc.,” he wrote in a December 1942 memo to his staff. He was a rabid anti-Zionist — if Jews were not a people, they were certainly not a nation — and persisted in these beliefs long after other prominent American Jews had abandoned them. 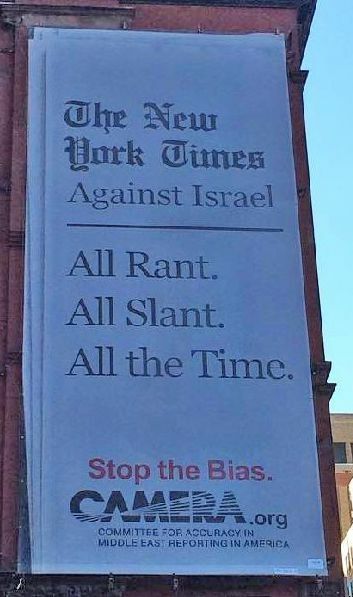 The NY Times’ history of fake news about Israel got so bad that CAMERA (The Committee for Accuracy in Middle East Reporting) took the unprecedented step of buying a billboard that could be seen from the window of the NY Times news room. CNN isn’t much better the only reason its anti-Israel history isn’t as long as the NY Times is that the Cable News Network hasn’t been around as long. Some CNN reporters such as Jake Tapper and Wolf Blitzer are relatively fair, but their go-to people on international stories, Christiana Amanpour and Fareed Zakaria are especially bad. Therefore it’s no surprise that the Prime Minister of Israel decided to help President Trump expose these shmendriks. Last week, headlines in CNN, Al-Jazeera and The Guardian said that Hamas now accepts a Palestinian state along the 1967 lines. Is moving from calling for genocide of all Jews to calling just for the annihilation of Israel – is that progress, or moderation? Hamas murders women and children. 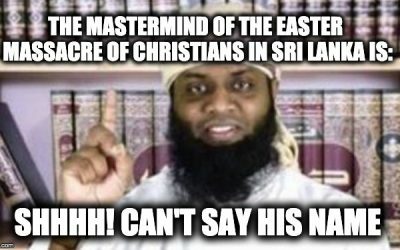 Its launched thousands of missile attacks at our homes. It brainwashes Palestinian kids in suicide kindergarten camps. So, where does this hate-filled document belong?